Helen Yurievna Kartsova was born on April 13/26, 1893 in Smolensk in the Smolensk Oblast in Russia that is 220 miles southwest of Moscow. Her father, Yuri Sergeyevich Kartsov, was a graduate from the faculty of law at the local university and entered a career of assistant ambassador in Constantinople. Later he became the Russian Consul in Mesopotamia, England and Belgium. He finished his profession as a State Councilor and political correspondent for various periodicals. He was a writer and always kept a journal. After the death of her mother, Helen, being eight years old, was sent to her aunt in Tsarskoe Selo where she lived until the age of fifteen. Tsarskoe Selo was a town where the nobility visited often and the imperial family stayed at one of two palaces: “Catherine Palace” or “Alexander Palace.” It is located twenty-four miles south of St. Petersburg and is today part of the town called Pushkin. 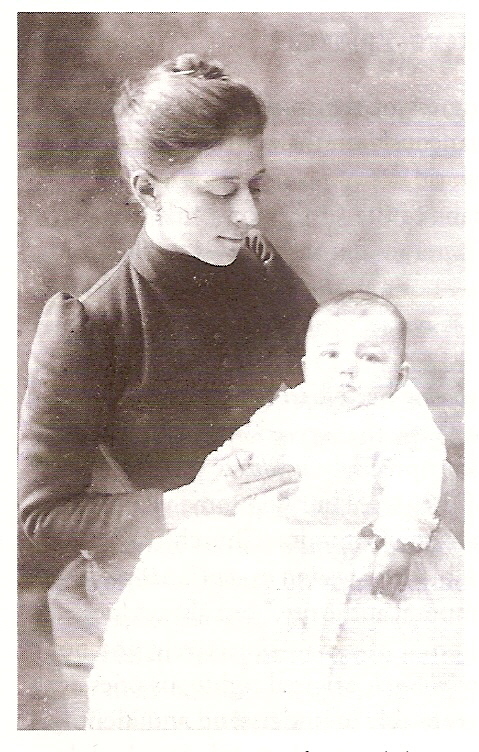 Her aunt was Helen Alexandrovna Ozerova who was from an affluent family and was well educated. She dedicated herself to philanthropic works. She was the president of the Red Cross society and over saw the nursing school. She was often visited by Empress Maria Fyodorovna, the mother of Tsar Nicholas II. 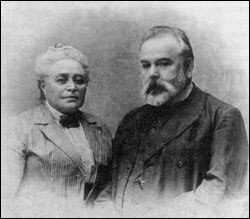 Her aunt soon married Sergei Alexandrovich Nilus whom Helen would speak of later on in her life saying that he had been a major influence in her life. After Sergei Alexandrovich’s conversion he was led to Sarov and to the Diveyevo Convent where he was providentially given the notes of Nicholas Motovilov, wherein there were the notes on the acquisition of the Holy Spirit about which St. Seraphim of Sarov had spoken to Nicholas. By the time he had married Helen Alexandrovna he had already been well established in a literary career. 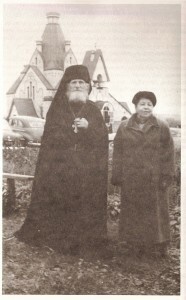 He had published two works: Greatness in Small Things and Concerning Antichrist which were an immediate sensation winning the praise of the “simple believers but the exasperation of the liberals.”Helen Alexandrovna and Sergei Alexandrovich would later go on to live in the “Leontiev House” just outside the walls of the Optina Monastery. They would live there for five years over which time Sergei was entrusted with the keys to the Optina Archives and in this period he produced three more books. After living at the “Leontiev House” for five years the Nilus’s moved to another home on the bank of Lake Valdayskoye in the Novgorod district. Here Helen would come to visit her aunt and uncle. Once while visiting, Helen was relating to her aunt how she had been tormented by visions of demons since she was a child. Her aunt brought her to the Valdai Iveron Monastery where she met Elder Laurence II. Helen Yurievna recalled to the elder these visions she had. He explained to her that the ability to see the other world was a gift from God but only for those who have the strength to bear it. She replied that she was scared of falling into despair because of it and that she hoped to be released from it. The elder prayed on his knees for three hours regarding this situation. He returned and said to her that she would never see demons again. “Soon Fr. Anatole himself appeared and began to bless those present, saying a few words to each one. The Elder, in outward appearance, was quite similar to the icon of St. Seraphim: the same loving, humble look. This was humility personified, and such love as is inexplicable in words. One must see it – but to express it in words is impossible! When we had been walking to the Usovs my brother and sister had declared that they needed only the Elder’s blessing. But I had told them that I would very much like to have a talk with him. “When our turn came, the Elder blessed my brother and sister, but to me he said, ‘Didn’t you want to have a talk with me? I can’t right now-come in the evening.’ The elder had comprehended my fervent wish, although I had not expressed it in words! In the evening I once again went back to the Usovs. Many people were sitting and waiting their turn to be received by the Elder. The members of the Usov family began to reproach the people who were sitting in their home for excessively burdening the weak and sick Elder. He received people all night long without a break. His legs were covered with sores and he was suffering from a hernia; he was barely alive. I began to feel ashamed for taking up the Elder’s time and left without seeing him. At the age of seventeen Helen Yurievna’s father sent her to live with his sister. This would turn out to be a very heavy trial for her as her aunt’s husband was mentally ill. Often he would beat her until she bled and would run after her. Her aunt was unable to help her as she was often abused also. Once, while running from her uncle, Helen Yurievna jumped through a window onto the street and ran off as far as she could go. She ended up near an unfamiliar church into which she entered. She fell to her knees and with many tears cried out in prayer asking the saints whose icons were in the church to help her. After her grief subsided she promised the saints in front of whom she prayed that she would especially honor them if she was delivered from these trials. Later she found out that one of these saints was St. Mitrophan of Voronezh and later in life she would make a special trip to his relics in front of which she had a moleben served. While continuing to live with her aunt and uncle, Helen was diagnosed with tuberculosis and she was sent to the south of France for treatment. This saved her from dying but she would suffer from a certain form of asthma for the rest her life due to the damage to her lungs. Hierarch Theophan, * pray to Christ God to save our souls. At the same time there was a poor student named Ivan, studying at the Sorbonne (University of Paris) who was living in the attic of the St. Sergius Theological Institute. His mother was a devoted spiritual daughter of Elder Nektary (she later became a nun). Ivan himself had been to Optina and spent his life being guided by its Elders. It was on his Name Day that he and Helen met and they decided that they should marry and did so in June of 1935. They were married by Fr. Basil Shoustin who was serving in Algiers at the time but married them in Africa. He was a spiritual son of the Optina Elder Barsanuphius which is why they went to him. While Helen and Ivan chose the married life one should not view this as a lessening of their zeal as evidenced in the story of their honeymoon. In 1952, Ivan accepted the position of Chair of Patrology at the Holy Trinity Seminary in Jordanville, NY. That year “they were almost penniless; practically all they had to their name were boxes of their newly-published book.” They moved into the town of Jordanville, and then in 1954 they moved to San Francisco to live in the basement apartment of Ivan’s brother, who was soon to be Bishop Nektary of Seattle. themselves their spiritual heirs. During this time, Helen also worked with Ivan to produce the work The Sources of the Spiritual Catastrophe of Leo Tolstoy which they published in 1962. She also contributed many articles to The Orthodox Word and later assisted in the compilation of Russia’s Catacomb Saints. Helen’s first contact with Gleb was while he was living in Jordanville and attending Holy Trinity Seminary. He had written an article about Elder Macarius of Optina, and Ivan and Helen had both written to him about it. When in 1964 Gleb and Eugene opened up their bookstore on Geary Boulevard called Orthodox Books and Icons, Helen was working with Gleb writing articles for a Russian newspaper aimed at awakening interest in spiritual literature. Other sources say she was born in St. Petersburg. See Abbot Herman, “Helen Yurievna Kontzevitch: Righteous Orthodox Writer.” In The Orthodox Word (No. 209, 1999): 270 and “About the Author” by the nuns at St. Xenia Skete in Helen Kontzevitch, Saint Seraphim Wonderworker of Sarov and His Spiritual Inheritance (Wildwood: St. Xenia Skete, 2004), 7. This work can be found in Archimandrite Lazarus Moore, “A Wonderful Revelation to the World,” in St. Seraphim of Sarov: A Spiritual Biography (Blanco: New Sarov Press, 1994), 167-207. Saint Seraphim Wonderworker of Sarov and His Spiritual Inheritance, 11. 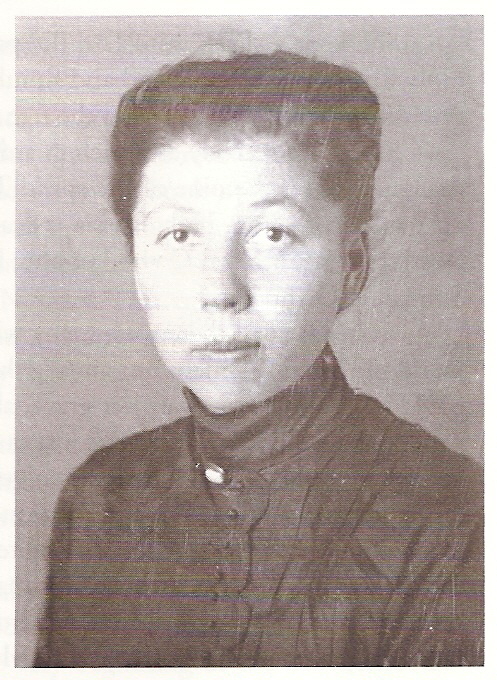 “Helen Yurievna Kontzevitch,” 281. Elder Nektary of Optina spoke on the same matter when a young lady came to him whose roommate had this same “sense” as Helen. He said, “But neither of you should be afraid. Guard yourselves with the sign of the Cross and pay no attention to it… It’s hereditary in her family. Formerly among the inhabitants of Kiev and Gomel, such an ability existed in many families, and still remains in certain families. It’s not evoked, either by spiritual podvigs or by falls; it’s not an obsession, but just an innate attribute of the soul.” I.M. Kontzevitch. 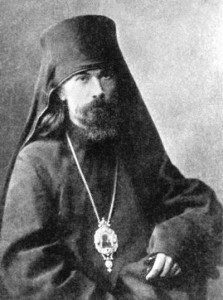 Elder Nektary of Optina (Platina: St. Herman of Alaska Brotherhood, 1998), 425. 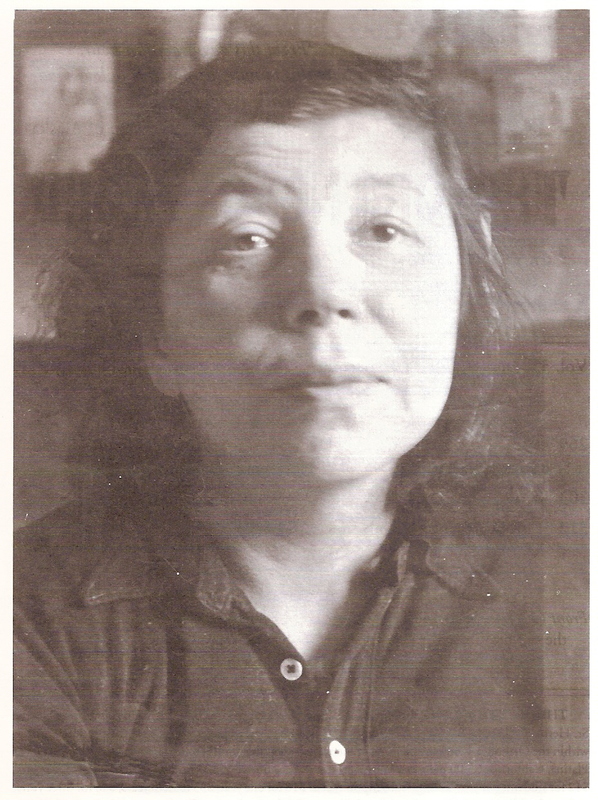 Helen Kontzevitch, “A Martyr for Traditional, Patristic Orthodoxy,” The Orthodox Word (No. 138, 1988): 60. Saint Seraphim Wonderworker of Sarov and His Spiritual Inheritance, 10. There are three sources where there are discrepancies in the details of the events. One source says, “Their honeymoon was spent in Greece. Ivan went to Mt. Athos, while Helen, having received the fourteen-volume set of the History of the Church by Metropolitan Macarius as a wedding gift, settled down to read it at the border of Athos.” (Saint Seraphim Wonderworker of Sarov and His Spiritual Inheritance, 10). Another source says, “As a wedding present to themselves, they bought a twelve-volume set of the Lives of the Saints by St. Demetrius of Rostov, and obtained visas for making a pilgrimage to the Holy Land. Due to emigration laws, however, Helen was unable to leave. So as not to waste his wedding vacation, Ivan Michailovich, with the blessing of his wife, went alone to Mount Athos. This was how they spent their ‘honeymoon’.” (Kontzevitch, I.M. The Acquisition of the Holy Spirit in Ancient Russia (St. Herman of Alsaka Brotherhood: Platina, 1988), 335. A third source says, “The first thing they did was to buy the twelve volumes of the Lives of the Saints and obtain visas for visiting the Holy Land. But it happened that his wife was unable to leave. So as not to waste his ‘wedding vacation,’ he decided to go to Mt. Athos alone. But the boat on which he was to sail on a certain day was unexpectedly sold, and the money for the ticket was refunded; there were no other boats.” (“The Definition of Eldership: In Memoriam Ivan M. Kontzevitch 1965-1980.” In The Orthodox Word (No. 95, 1980): 283). The nuns from St. Xenia’s Skete in Wildwood, Calif., say that it was in 1953, cf. Saint Seraphim Wonderworker of Sarov and His Spiritual Inheritance, 10. 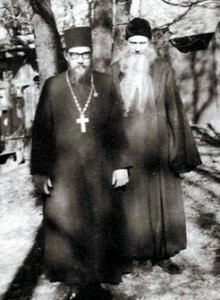 The St. Herman of Alaska Brotherhood say that it was in 1952, cf. The Acquisition of the Holy Spirit in Ancient Russia, 341. Hieromonk Damascene, Father Seraphim Rose: His Life and Works (St. Herman of Alaska Brotherhood: Platina, 2003), 217-218. This work has not been translated into English. 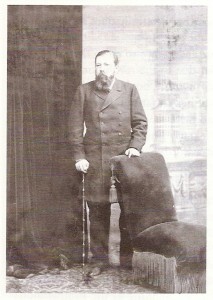 Ivan Andreyev. 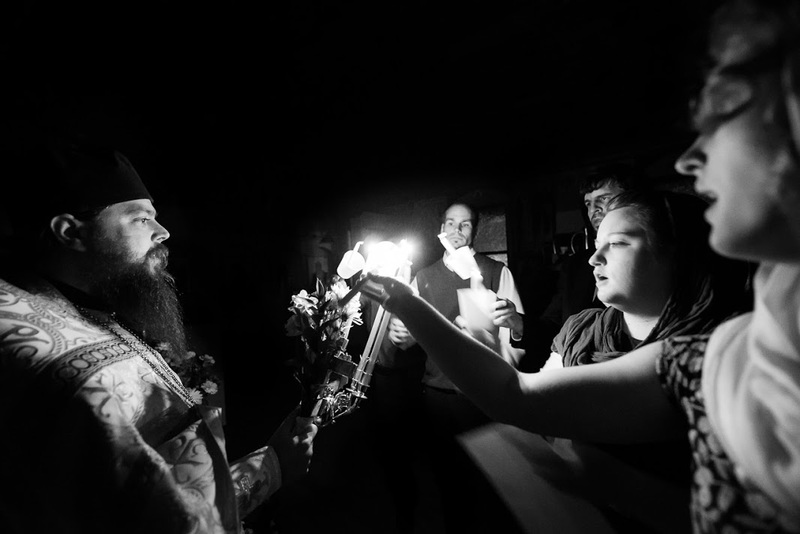 Russia’s Catacomb Saints: Lives of the New Martyrs. (St. Herman of Alaska Press: Platina, 1982). Frs. Seraphim and Herman, “Our Links with the Holy Fathers: The Definition of Eldership; In Memoriam: Ivan M. Kontzevitch,” The Orthodox Word (1980), 290. 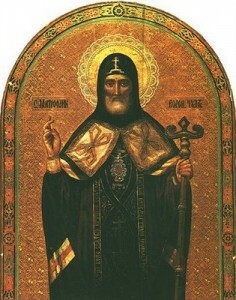 Saint Seraphim Wonderworker of Sarov and His Spiritual Inheritance (St. Xenia Skete: Wildwood, 2004). Helen Kontzevitch. “Martyrology of the Communist Yoke: Abbess Sophia of Kiev,” The Orthodox Word (July-August, 1974): 160-169. 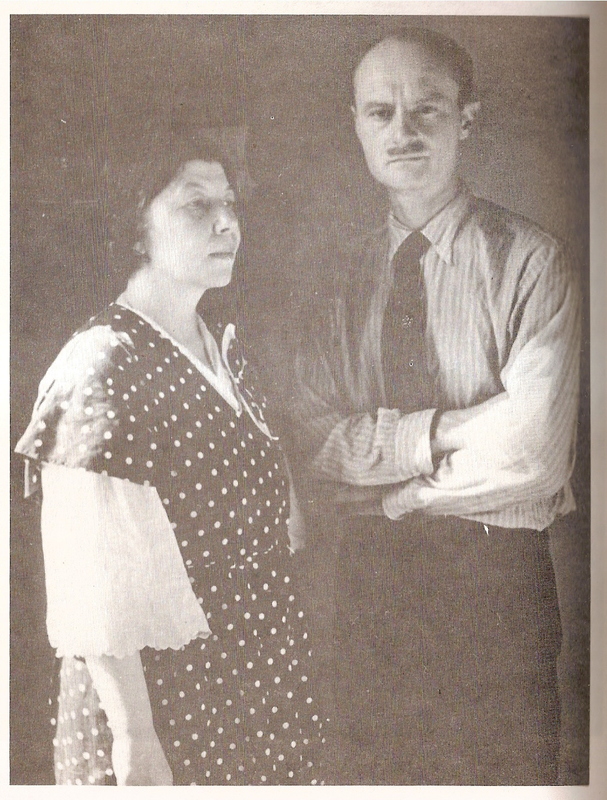 None of her translations of his work has been translated in full into English. Translations of parts of his work can be found throughout the series on the Elders of Optina. Ibid., 320. This work has not been translated into English yet. Hello, May I use your picture of Saint Theophan of Poltava for a Youtube video? I want to share his teaching about the new calendar innovation. Thank you.